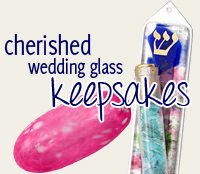 This Beautiful Wedding Glass Mezuzah Is Handcrafted By Gary Rosenthal. 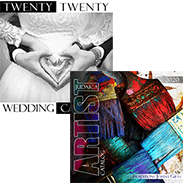 The Broken Glass From A Wedding Can Be Placed Inside To Create A Cherished Keepsake. 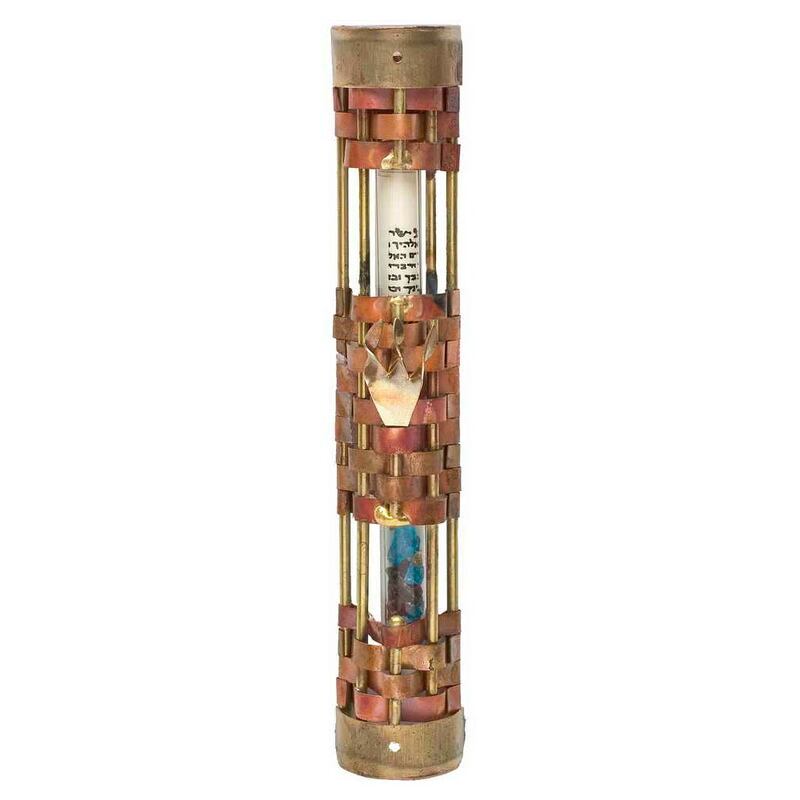 Woven Pieces Of Brass And Copper Surround The Glass Tube That Holds Your Broken Glass And Scroll. The Mezuzah Is 5" Tall. 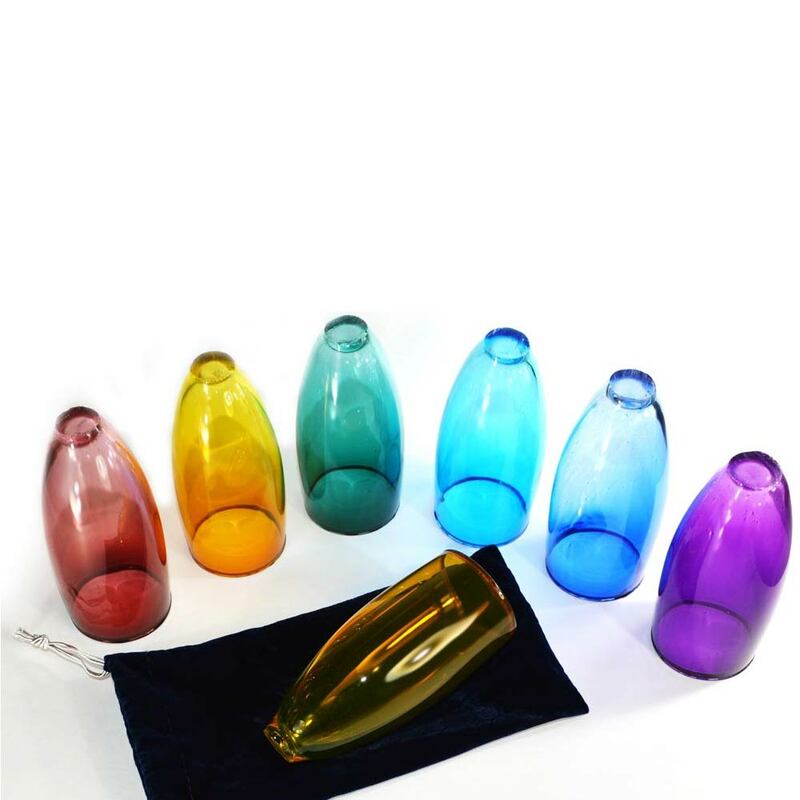 Instructions For Encasing The Glass Are Included.